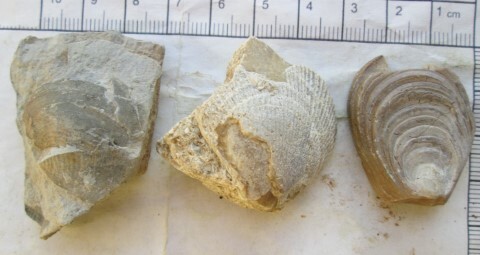 This is my first post on the forum, I have developed an interest in fossils following some finds on cultivated land when metal detecting (near Coombe Hill, Gloucestershire). Gryphea are relatively common but the first couple of photos below show some of the other pieces I have found. 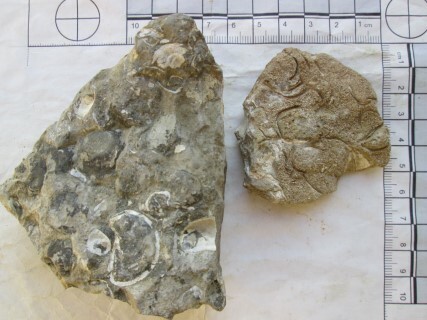 There are occasional nodules like the one in the third photo, I think they will contain flint, which may contain fossils - but that some are fossils themselves - have I anything to lose by breaking this open? I went to Tites Point down to low tide this morning but as I was on my own I didnt access the western rocks as the mud was getting too deep. I found some Gryphea on the eastern area but thoroughly enjoyed poking round in such a scenic area. The bottom photo I have no idea about conception maybe. Definitely bivalves but these not my speciality, someone may be able to help. 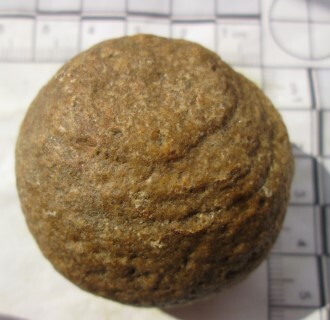 You were correct, the nodule was not a flint (I have a lot to learn!) and proved very resistant to cracking open, in the end it revealed a core of a much paler stone but no fossil. of that 20% 2% will be good enough to prep. !